Sapphire has a new graphics card on the way, based upon the Radeon RX 570 design. So far, so ordinary, but this new graphics card, its first product announcement of 2019, is designed to pack a hefty 16GB of GDDR5 RAM. If you haven't guessed already (or haven't read the story subheading), the lashings of VRAM will be of great interest to a niche of buyers looking to mine a new cryprocurrency. It might be odd to hear about a major AIB maker preparing to launch a specialised crypto-card in this day and age. More common-or-garden RX 570 designs are now priced quite reasonably, and on the green team, Nvidia blamed the 'crypto hangover' for a downturn in its fortunes last November. Recently HEXUS got several emails 'yelling' about a big sale of cryptomining (ASIC) equipment and I thought - no surprise. However, Sapphire must see some potential; otherwise it would not invest in developing such a product. The design of the Sapphire Radeon RX 570, especially its huge memory portion, is going to be of great value in early Grin mining, explains Medium. Firstly, the Compute Units of the RX570 well suited to mining the Grin algorithm, it says. Secondly, the GPU-friendly Cuckaroo algorithm likely requires greater than 5.5GB of video memory, and the ASIC-friendly (AF) Cuckatoo algorithm at least 11GB of memory. Thirdly, more memory will make processing Cuckaroo and Cuckatoo even faster. Lastly, 16GB of VRAM will allow the GPU to swing between GPU friendly and ASIC friendly algorithms depending upon difficulty/profitability according to the source. 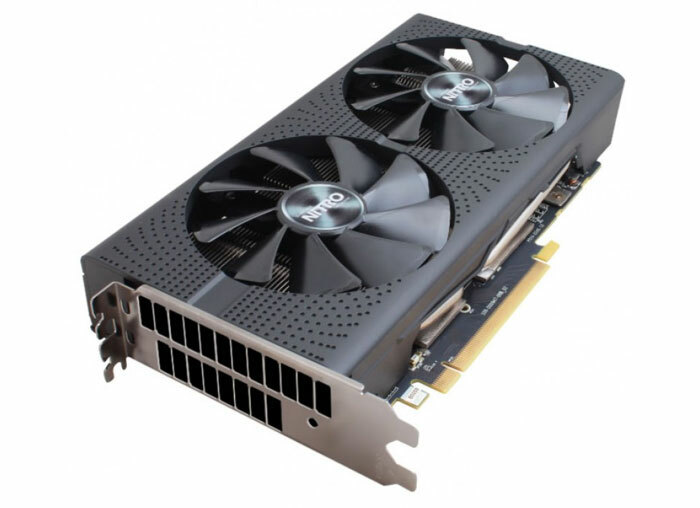 Sapphire's Radeon RX 570 with 16GB GDDR5 is said to be a third of the price of competing 16GB graphics cards, which are designed (and priced) for professional use. A quick Google shows the cheapest 16GB GPU around is the Nvidia Pascal-based Quadro P5000 at around £1600, so is Sapphire's Radeon RX 570 with 16GB GDDR5 going to cost about £400? We don't know at the time of writing. if it's good for gaming and CAD-FEA then I might be tempted at £400. I might even persuade IT to pop one in my work machine too if it is of benefit. If the picture (/render?) in the article is accurate it doesn't have any video outputs, although I don't know if that matters nowadays - do switchable graphics work on the desktop? I doubt it'll be any better for gaming than a standard 4GB RX 570, and perhaps even worse - historically the way you put more memory on a GPU was to slow it down…. Should run through IGP output with a minor performance penalty (presuming a semi-recent motherboard). historically the way you put more memory on a GPU was to slow it down…. Exactly, hence my comment if it's good for both uses. But jack-of-all master of none is usually what you find if they try and do both.